so might as well make a thread for digital albums that have some ZI gear used on the recording. I hear some ZIMM02 in there. There is probably some ZIMM01 as well. 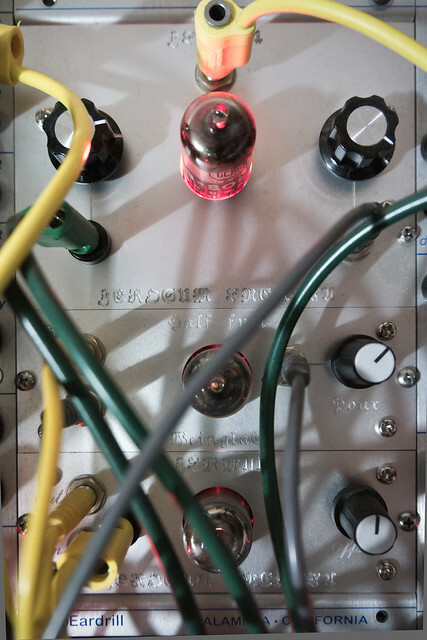 And here is a pic of my most used Zerosum Inertia modules on the album (ZIMM01 and ZIMM03 and my favorite one of a kind). But I used a ZIMM02 and a ZIMM03 too. Do you have any interesting patch notes or insight about what is going on in between the guitar crunches, Gabe? Whatever it is, however it is, I love it! Holy sh*t! That is intense! And GREAT! hum... There's some ZI all over the place in this EP! But the "fart solo" I call involves a Noiseswash for sure and I forgot the rest hahah... The song was composed last year in august and the electronic recorded then heheh! But the main bass line and synth lines that are going with the guitar are using a Amplifryer and Haxor for sure... damn memory hehehe!